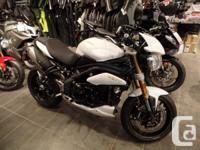 $750 VOUCHER OR 1.99% FINANCINGThis motorcycle truly epitomizes the spirit of Triumph. 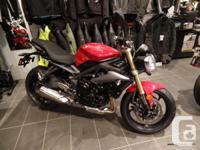 Agile, fun, punchy, brimming with character, up for anything and great to look at. 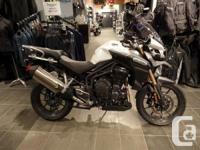 Its 675 cc 3 cyl engine bubbles, growls and wails as you wind it up through the gears and, thanks to an all-new chassis, the handling is now even sharper and more intuitive than it's ever been. And thats saying something. The bodywork is new too. 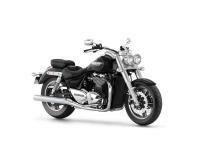 Colors appear as sharp slashes down the length of the bike from the slender tail section to the lean-looking tank, narrow radiator side cover and the front mudguard. Neatly finished by the striking new wheel design. 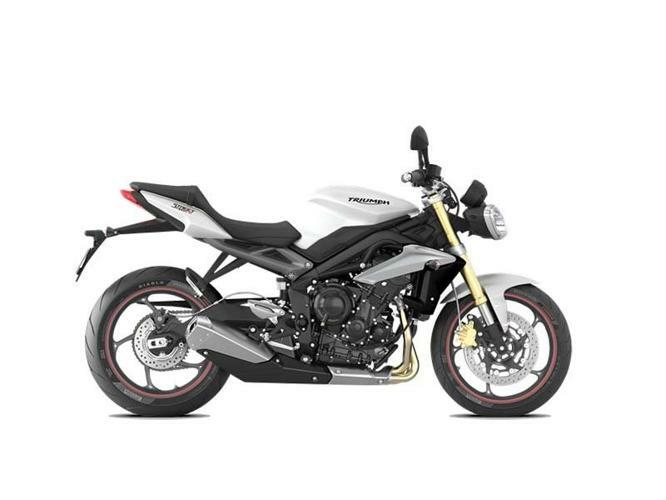 Youll find yourself using the Street Triple for anything from track days to traffic busting. Weve created a machine that can turn the dullest regular commute into pleasure trip.